If you are planning on flying long haul, be it for business or for pleasure, you should find good ways to keep yourself entertained and stay comfortable, and lucky for you, we have a few great tips that will ensure that your flight is an enjoyable and they will also ensure that you feel refreshed when you get off. When you think about it, flying is never really something that is comfortable, especially if you are in economy class because you have a tight budget. The first thing, and you may not see it as important, is to reserve a good seat. An exit row seat is great for legroom and a window seat is great for sleeping, and be sure not to pick a seat that is close to the toilets, since people will be going there and they may bump into your seat on accident. A high traffic area is not the way to go. If you are planning on sleeping on the trip or you have the idea that you may, be sure to come prepared with a neck pillow and eye covers. Also, it would be wise to get noise cancelling headphones, even if you just use them to put them in without music when you sleep. This will keep the noise out and ensure a good rest for you. Also, speaking of noise cancelling headphones, bring something to keep you entertained. 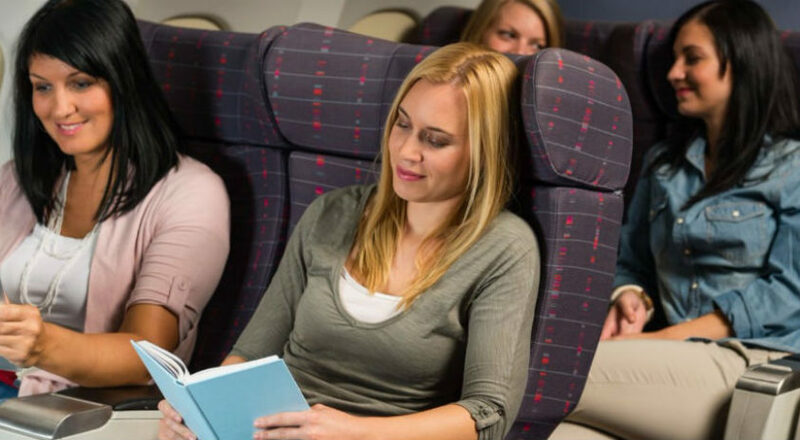 These days the planes are equipped with screens that you can watch movies on, but they may not be in working order or you may want to watch something else or have something to read, so bring something along. Do not over pack when it comes to carry on luggage, since you will have to check some of the items if it is too much and it is a hassle having that much luggage to carry with you. Bring what you need and only what you need. If you can, having baby wipes is great. If you make a mess while eating or the armrest is sticky, you will have something to clean it up. Also, if you sweat or just want to freshen up a bit, these come in handy. You can even bring a toothbrush and anything that you may need to freshen up before getting off of the plane. You will find that plane food is almost never really a pleasure these days, so you may want to consider bringing your own food on board. You may not be allowed to take it with when you land, and you don’t want to overload your carry-on, so be sure to only bring enough. Remember to stretch every once in a while, because sitting still for that long in a small space will cramp up your muscles and restrain blood flow. There are various simple stretches that you can do while being seated, but it may be a good idea to stand up every once in a while.